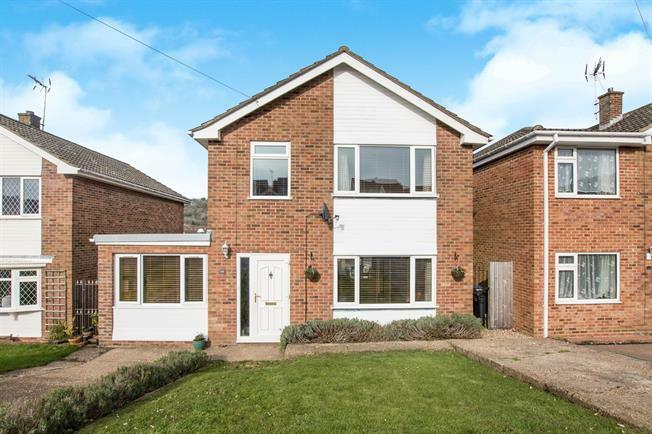 3 Bedroom Detached House For Sale in Dover for Asking Price £340,000. This detached family home is presented in first class condition throughout and is ready for the new owners to move straight in. The heritage grey kitchen is really high quality and has integrated appliances and there is a large open plan lounge/diner, perfect for modern life. The garage has been converted into a useful family room which could also double up as a guest bedroom when needed, great for kids to play and visitors. There are three bedrooms and a bathroom upstairs. Lovely rear garden with decking and lawn.